… in some moments I really miss Europe. Tallinn is the capital of Estonia. It is situated by the Gulf of Finland, on the opposite sea-side of Helsinki, the capital of Finland. Tallinn is the biggest city in Estonia and it counts around half a million inhabitants (Estonia’s total population is much less than 2 millions). 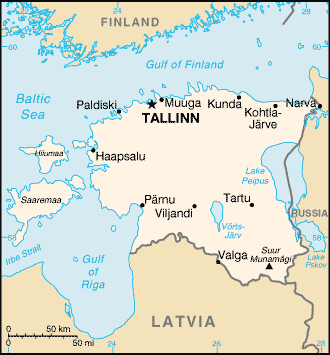 Tallinn was first referred to in chronicles in 1154. In the Middle Ages it was an important trade centre. If you want to read more about Tallinn’s history I suggest you wikipedia. Keep in mind that Tallinn is one of the best conserved Middle Ages cities in all Europe [tallinn tourism website]. Nowadays, you can still feel the taste of old middle-ages walking in the Tallinn’s Old Town belonging to UNESCO’s World Heritage List. Inside the amazing city walls, you can admire incredibly well conseverd examples of middle ages architecture as well as a huge quantity of really fascinating cafes, restaurants and shops. Probably, the most known middle ages example is represented by the core of the Old Town, the Town Hall which is dominating the impressive Town Hall square. The first time I saw it it was around midnight at the beginning of December… nobody was around and it was quite cold and snowing but still… amazing… an incredible view still clear in my mind. In summer time, the Town Hall Square is really alive with restaurants and cafes always full of people. It is not difficult to understand that “tere” is one of the words you are going to listen more in Estonia. For more information about Estonian I’ll suggest you this link on the Web encyclopaedia Estonica. Reaching Estonia from west and central Europe means basically landing at Tallinna Lennujaam or Tallinn airport. Tallinn, of course, is the capital of Estonia. The airport there is quite small (6 gates) but cute and really amazing in winter time while heavy snowing. I still remember the experience I had in February, it was snowing that much that even if airport staff was cleaning the ground, after 2 minutes it was again completely white. I was scared the plane was not able to take off. But everything went perfect and the plane was on time. Take a look to the next pics if you want to have an idea (click to enlarge!). Do you really think it is possible to take off in such conditions? Well, in Tallinn it is! The plane before de-snowing and de-icing process. In the last year I had the great chance to visit and enjoy Estonia a country in Northern Europe. According to Wikipedia, Estonia has land borders with fellow Baltic country Latvia (339 km) to the south and Russia (229 km) to the east. 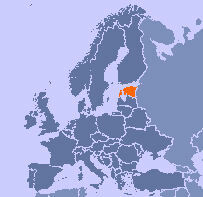 It is separated from Finland in the north by the narrow Gulf of Finland and from Sweden in the west by the Baltic Sea. Its coastline is 3,794 km long. Estonia regained its independence on August 20, 1991, with the Singing Revolution and the collapse of the Soviet Union. The last Russian troops left on August 31, 1994, and Estonia joined NATO on March 29, 2004 and the European Union on May 1, 2004.